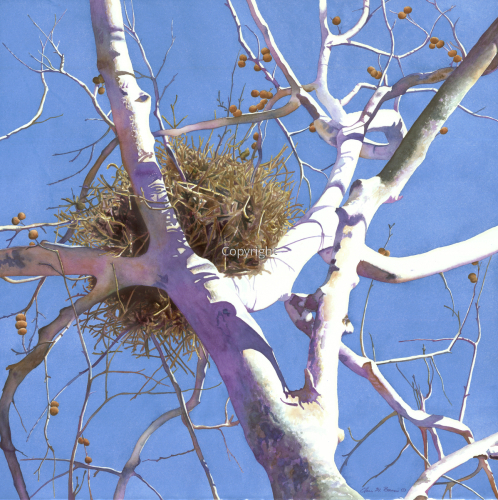 Watercolor on paper, Sycamore tree with an Osprey nest, Sacramento, CA. This painting was featured on the cover of "Inside the City" newspaper January 2009 and January 2016. Sacramento is known as The City of Trees. 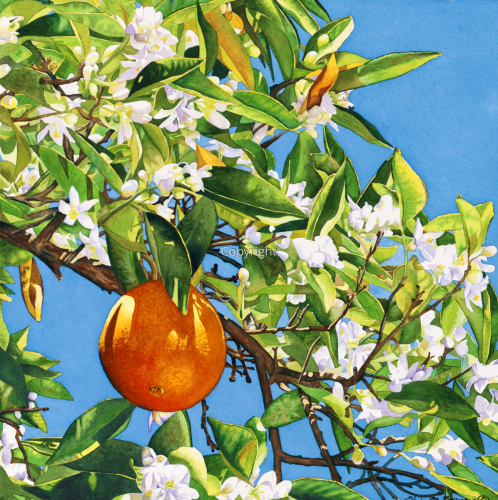 Watercolor on paper, orange tree with blossoms, in The City of Trees, Sacramento, CA. 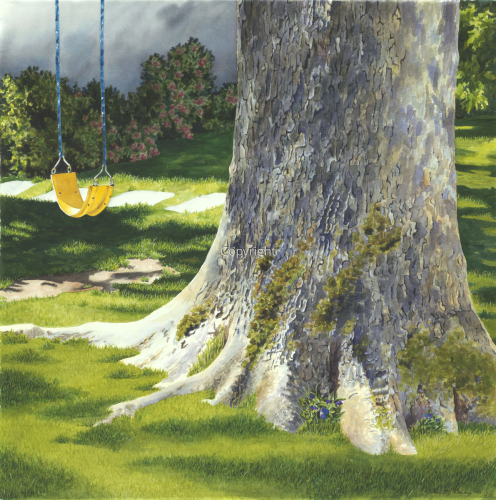 This painting was accepted into the California Watercolor Association 42nd National Exhibition. It was also featured on the cover of "Inside the City" newspaper and was in the Inside the City 20th Anniversary show, Sacramento, CA. Currently it is in the City of Trees show at the Sacramento City Hall Robert Matsui Gallery. 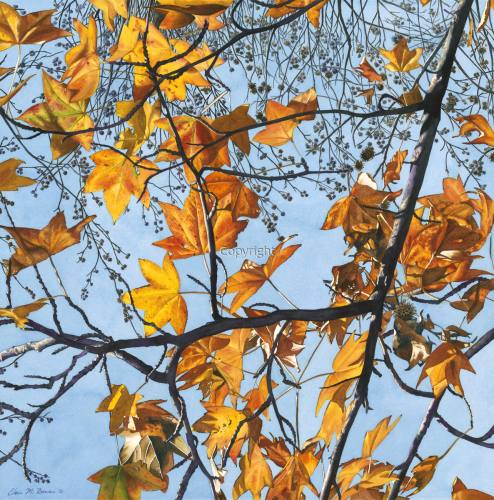 Watercolor on paper, autumn leaves in the City of Trees, Sacramento, CA. This painting was featured on the cover of "Inside the City" newspaper November 2009. Watercolor on paper, beloved neighborhood swing in Land Park, Sacramento, CA. This painting was featured on the cover of "Inside the City" newspaper. 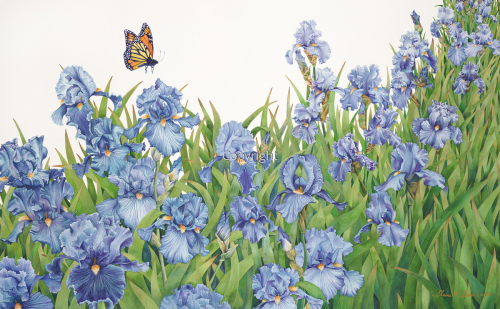 It is currently in the City of Trees show in the Sacramento City Hall Robert Matsui Gallery. 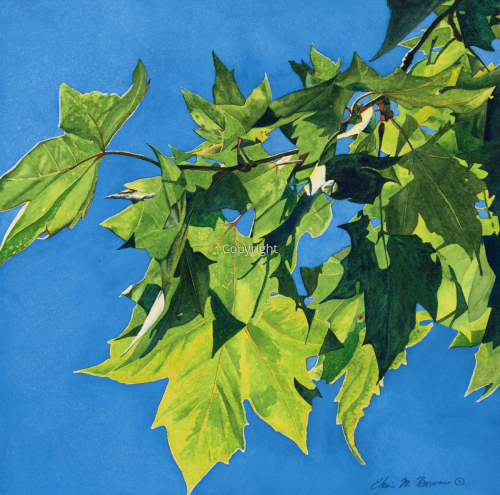 Watercolor on paper, Sycamore tree/leaves in Sacramento, CA, which is known as The City of Trees. 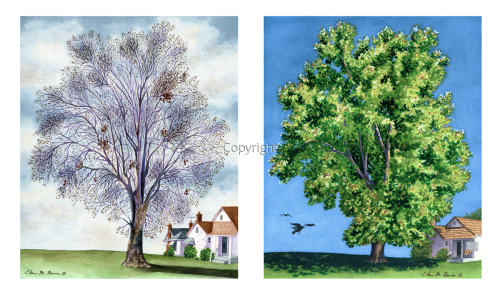 Watercolor on paper, Sycamore tree in Winter and Spring. This tree is in Sacramento, CA, known as The City of Trees. 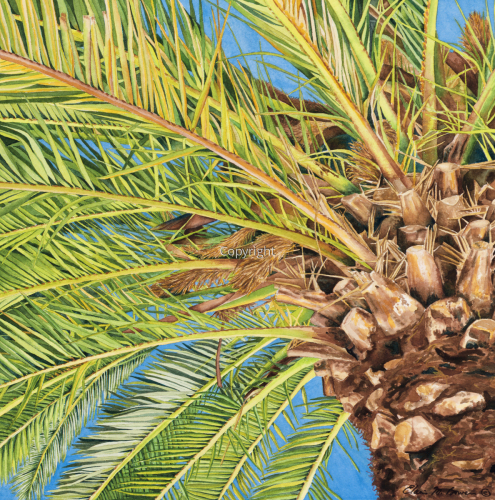 Watercolor on paper, palm tree in The City of Trees, Sacramento, CA. 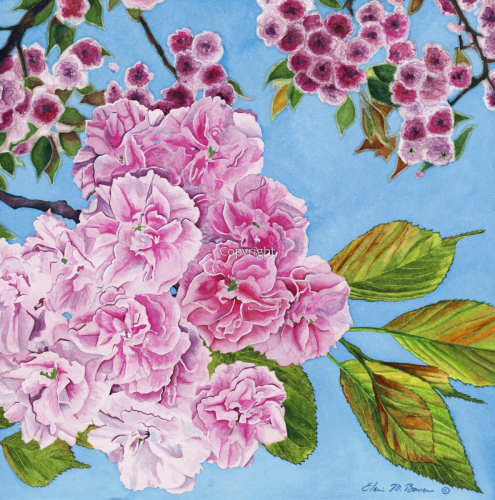 Watercolor on paper, Ornamental Cherry blossoms in Sacramento, CA, known as The City of Trees. 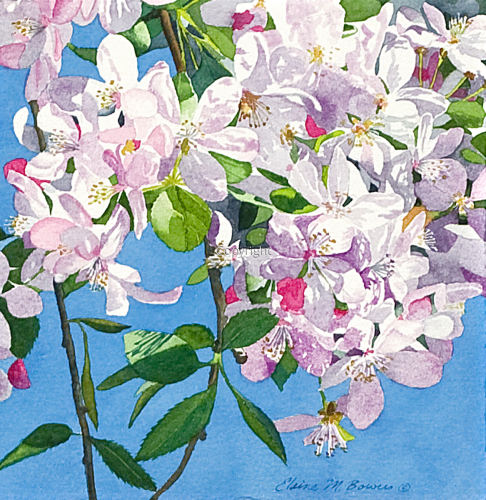 Watercolor on paper, Crabapple blossoms, detail from painting with four blossom varieties, titled "Spring Jewels". It is from the City of Trees series which represents select tress from Sacramento, CA.